Home / Archive / FAQ / featured / How can I watch BoxNation via Freeview? How can I watch BoxNation via Freeview? This is an archive article. 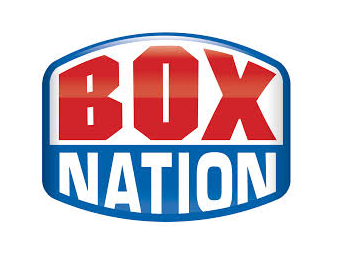 BoxNation moved to a new channel number 268 in August 2017. Boxing channel BoxNation has gone live on Freeview channel 255, allowing anyone with a compatible connected device and fast enough broadband connection to opt-in to the service. The channel first popped up on Freeview on the 19th November, but for over a fortnight, it displayed a "coming soon" slate, with little publicity about the new service. Some changes to the Freeview service last week, which may have prompted viewers to retune means more people will now have the channel in their list of Freeview services. BoxNation is not part of the core Freeview service, which is broadcast over the air to people's homes. Rather it is the latest subscription channel to use an internet stream accessed via a special channel number range between channels 225-299 to gain access to Freeview homes. The addition of the service on connected Freeview devices means more viewers will have the option to watch next weekend's WBO World Middleweight Championship clash between Andy Lee and Billy Joe Saunders on 19th December. BoxNation will work a number of Freeview HD compatible devices, as these devices not only are able to show HD channels (e.g. channel 101, BBC One HD) but should also have internet connectivity. Not all Freeview HD devices will work with the internet streams used by services like BoxNation. Viewers can quickly tell if their TV or Freeview box is compatible with the service by selecting channel 255. If a video loads and begins to play, then the device is compatible. Viewers can subscribe to the service by pressing the yellow button and following the on-screen instructions. The service requires a broadband speed of at least 2Mbps. If you have a usage cap on your broadband, watching this channel will contribute towards your data allowance usage. A BoxNation subscription costs £12 a month. Viewers can subsequently manage their subscription online via the BoxNation website. There is no fixed term contract beyond the one month minimum subscription period.